Hot off the press here are the Lions’ 2018/19 Vanarama National League North fixtures, it all begins with a trip to Lincolnshire as we face Boston United. 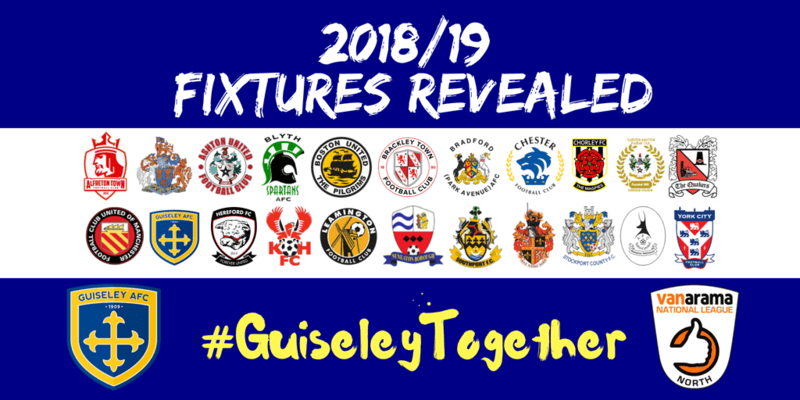 Marcus Bignot and Russ O’Neill’s side also have a packed August with visits from Chorley, AFC Telford and Nuneaton whilst travelling to Stockport County, Leamington and Altrincham. The traditional festive double header will see the Lions host Bradford Park Avenue on Boxing Day with the return fixture on New Year’s Day, a clash with Altrincham at Nethermoor is sandwiched between those two fixtures. There’s also trips to three new grounds for the travelling Lions fans to visit including Darlington’s Blackwell Meadows, FC United of Manchester’s Broadhurst Park and Hereford’s Edgar Street. After a long Summer it’s exactly a month today until we start again with our first friendly taking place on 10th July against Bradford City at Nethermoor. Keep an eye on the away travel section of the website for details on how to book trips with the Supporters’ Club. Interested in joining the club as a sponsor? Check out our new opportunities for the upcoming season. Don’t miss a kick of the action at Nethermoor with an affordable 18/19 Season Ticket – just £7 a game for adults and 47p for children! 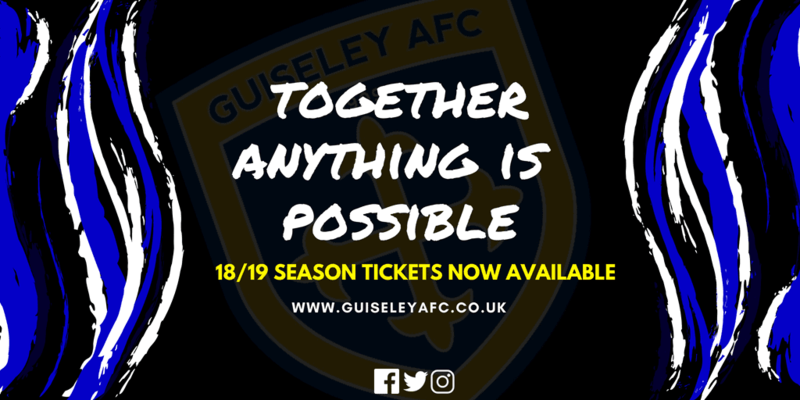 The club are on a mission to bring #GuiseleyTogether by asking new and existing fans to back the lower priced model with a commitment to making football in Guiseley affordable for all the family. Adult season tickets are priced at only £150 compared to £240 last season, order yours online here.